I am not a big fan of snow, everyone who knows me is aware of this fact. 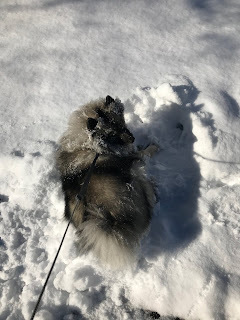 Yesterday, during the snow day, I was reminded that one member of my family loves the snow. Makayla loves snow. When we were shoveling on Sunday, she was content to lay in a snow pile and watch the activity, but yesterday her love of snow came out. She loves to dig and burrow into the snow. She did this on many occasions during the day. It was fun to watch her. And the amazing thing is that because she has two coats, the snow did not melt on her, it just shook off. She loves to make Keeshond snow angels. We took an enjoyable walk during the early evening as the sun was setting. Makayla stopped a number of times along the route to leave her unique mark in the snow. I am glad that someone in my family loves snow. 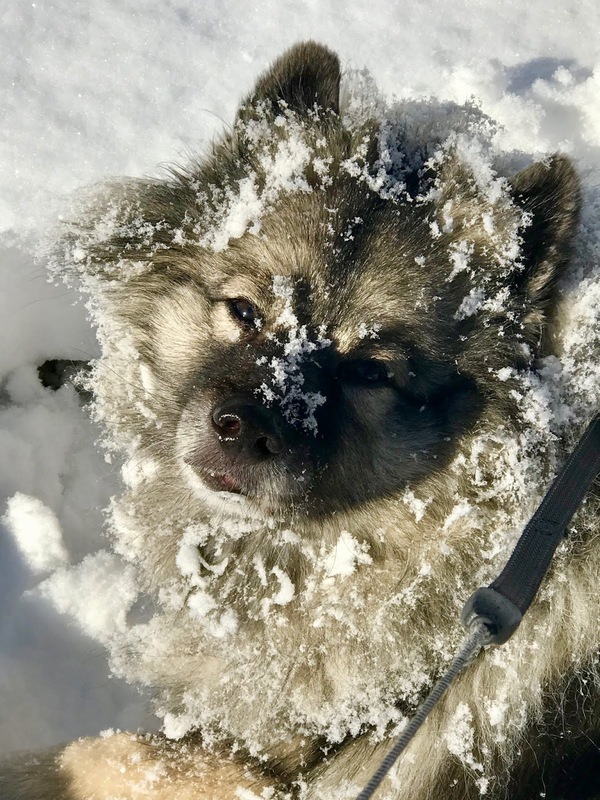 When the yard is covered with snow and looks pristine, just add Keeshond to give it that used look. But I need to be prepared to laugh a lot.